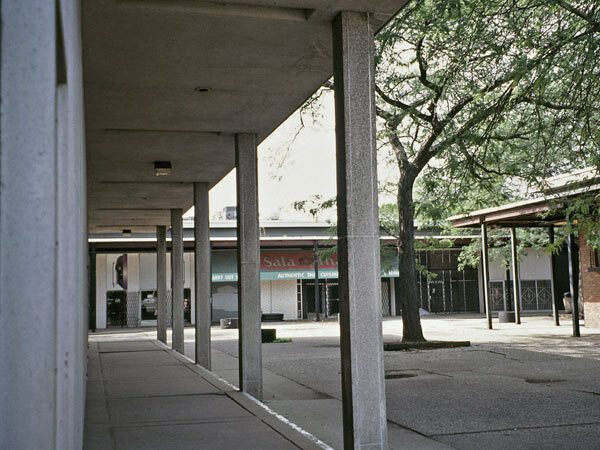 This 78-acre urban renewal project, built on the former Black Bottom community near Detroit between 1955 and 1963, was designed by Ludwig Mies van der Rohe, Ludwig Hilberseimer, and Alfred Caldwell. 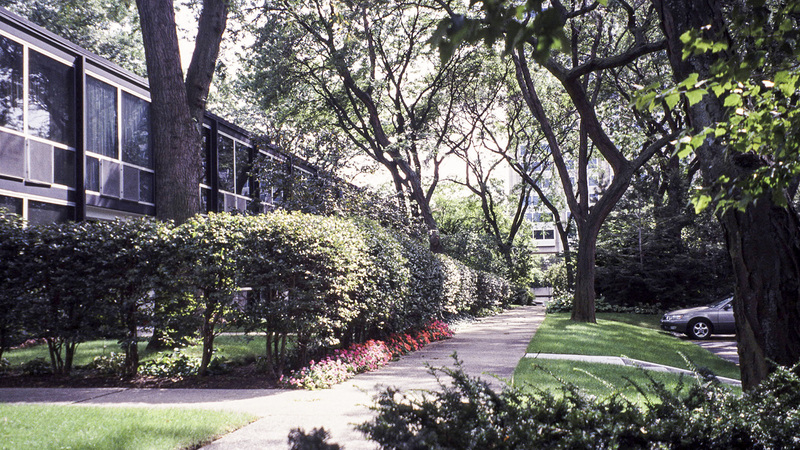 The planned community includes a commercial center, school, subsidized residential apartment buildings and townhouses, a residential tower, and a sixteen-acre park. 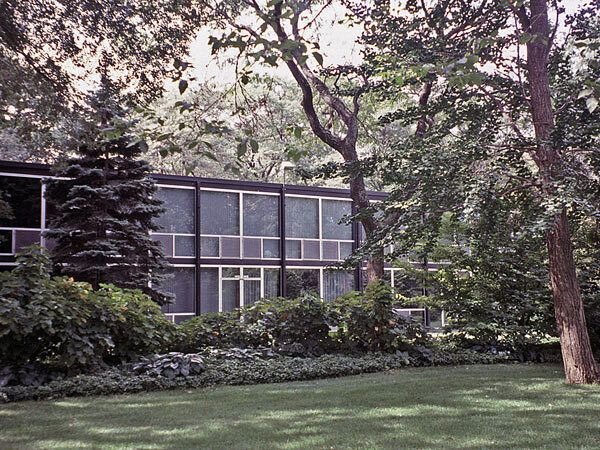 The site includes the largest collection of Mies van der Rohe buildings at any single location in the country. 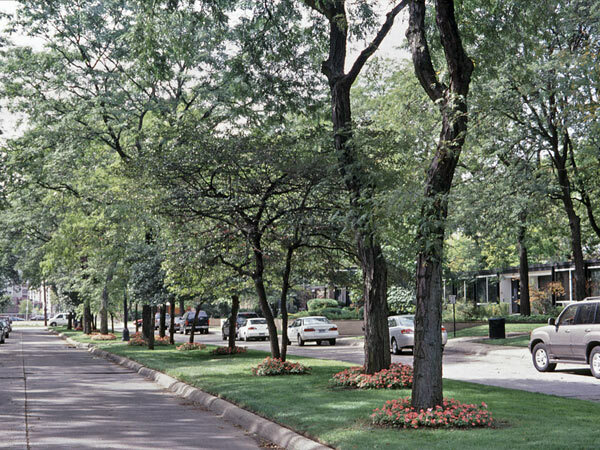 At Lafayette Park, Caldwell laid out an integrated pedestrian and vehicular circulation network, including no through traffic; he also designed a spacious park and created individual gardens and parking areas. Considered at its inception to be a model of urbanization, Lafayette Park is now especially recognized for its abundant vegetation and the attention to detail in the landscape. Van der Rohe and Caldwell also collaborated at Chicago’s Lake Point Tower. 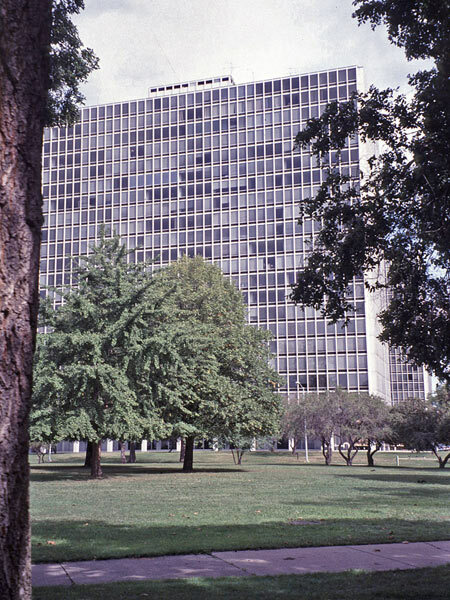 In 1978, Lafayette Park was listed in the National Register of Historic Places and in 2015 it was designated a National Historic Landmark.